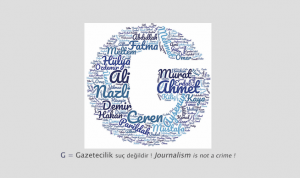 How do you imagine journalism in 2025? 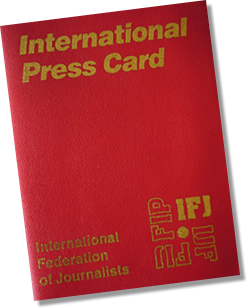 How do you imagine journalism in 2025? What if social media becomes the primary source of information and media worldwide? Will the public continue to pay for content? How will robot journalism develop? Will printed newspaper still exist? 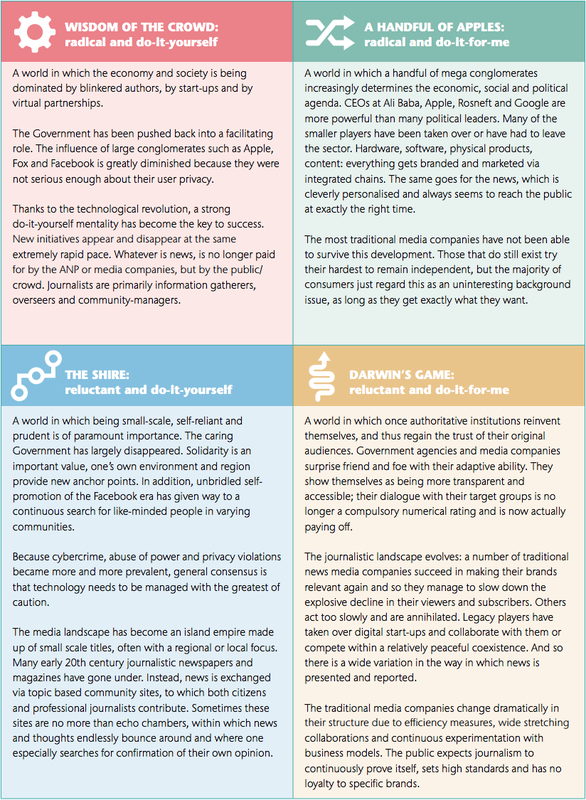 A recent Dutch Journalism Fund (DJF) study mapped out four scenarios of the future of journalism. See you in ten years. 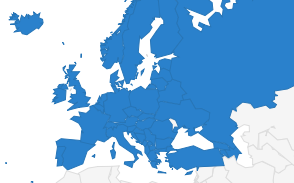 The Dutch study “What’s New(s)? 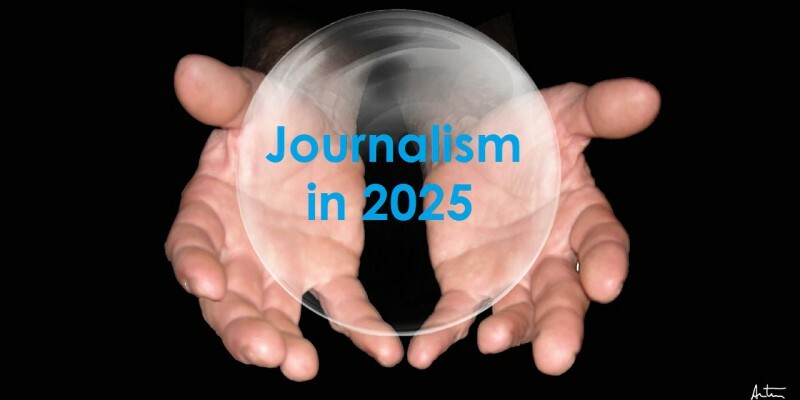 Scenarios for the future of journalism” showed four scenarios of the Dutch journalism in 2025. The trends mapped out in the study was based on interviews with journalists, publishers, philosophers, chief editors, scientists, technology experts and managers from within and outside the sector. The resulting visions show two biggest future uncertainties : the acceptance of technology and the public trust. These two uncertainties : “acceptance of technology” and “public trust “are the two axes that orient the four fictitious worlds in 2025, according to the study. How do you imagine journalism in 2025? Do these scenario look familiar to you?